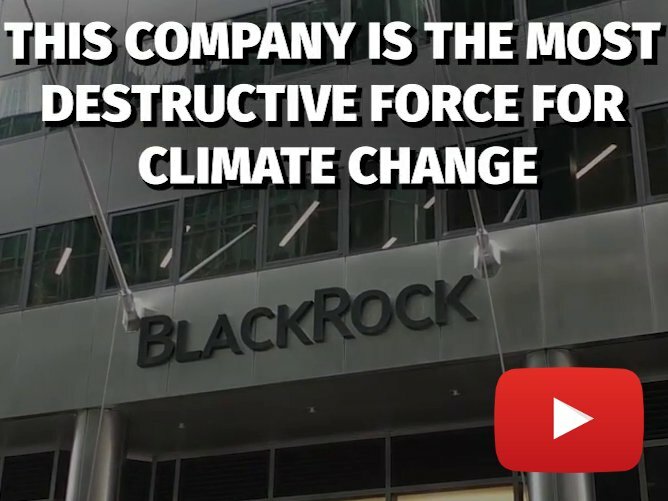 "We have to free ourselves from our addiction to oil," said Esperanza Martinez, founder and president of Acción Ecológica in an interview with Naomi Klein at the New School in New York City. "We shouldn't reject oil because oil in and of itself is bad, but because it is inextricably linked to an extractive model and a model of consumption that doesn't respect the natural cycle of our planet. If we want to take on climate change, we can't continue extracting, consuming, looking for more oil and sacrificing more [indigenous] territories," said Martinez. One of a number of events leading up to the People's Climate March on September 21, hundreds of people gathered on Thursday to hear Klein speak with a panel of inspiring grassroots leaders such as Martinez about issues addressed in her new book This Changes Everything: Capitalism vs the Climate. 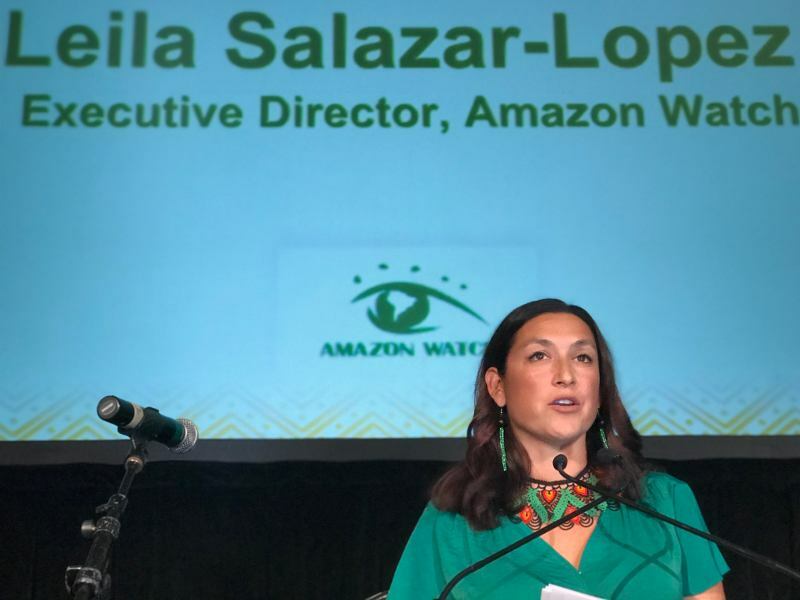 Martinez along with three members of YASunidos are part of an Amazon Watch delegation in New York City for a week of action aiming to address climate change. In addition to the interview with Klein, indigenous delegates spoke to a full house the following evening at Impact Hub NYC. The panel entitled "From the Heart of the Amazon: Youth & Indigenous Leaders Speak Out on Climate," included Antonella Calle, a 20-year-old activist from YASunidos, Gloria Ushigua, the current president of the Sápara Women's Association (Ashinwaka), Patricia and Nina Gualinga, leaders from Sarayaku, and Leonardo Cerda, indigenous Kichwa leader. Calle spoke about the youth collective YASunidos' efforts to protect Yasuní-ITT, home of Ecuador's last indigenous communities living in voluntary isolation and the biodiverse Yasuni National Park. The other speakers echoed Calle's sentiments and described their own struggles to protect and preserve their ancestral land. "We are currently fighting a battle against oil companies that enter our territories and threaten our very existence," said Ushigua. "We have reached out to our allies. 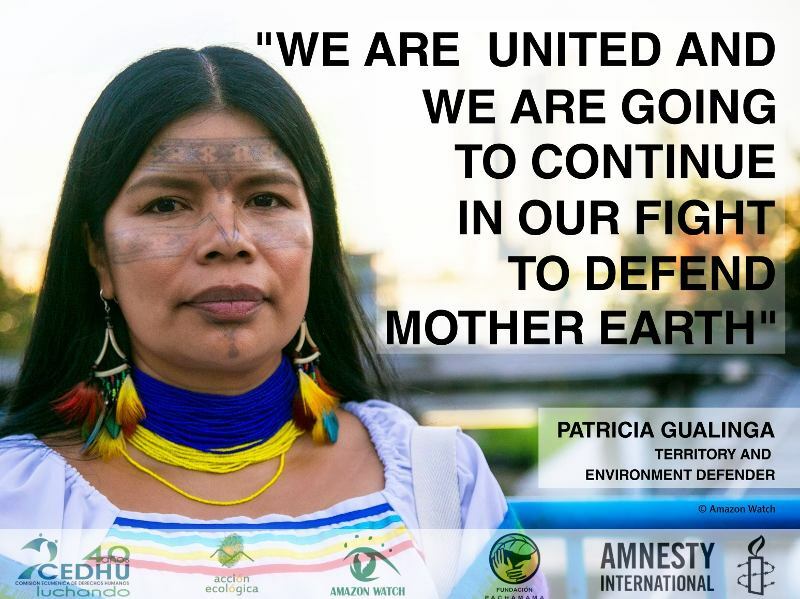 We are ready to fight with all the strength of our ancestors against the companies and governments to protect the land from which we came, a land that must remain free from oil exploration." Ushigua has long been a leader in the struggle to protect her people's territory, raising awareness about the urgent situation. 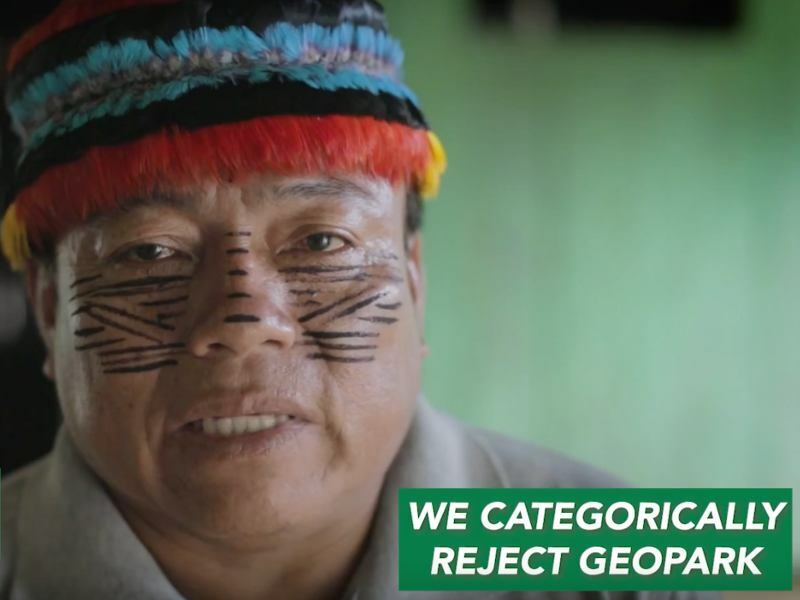 Even given today's intensifying political landscape where the Ecuadorian government, under pressure from China, has drastically cracked down on organizations and civil societies opposing oil expansion, Ushigua has not given up hope. 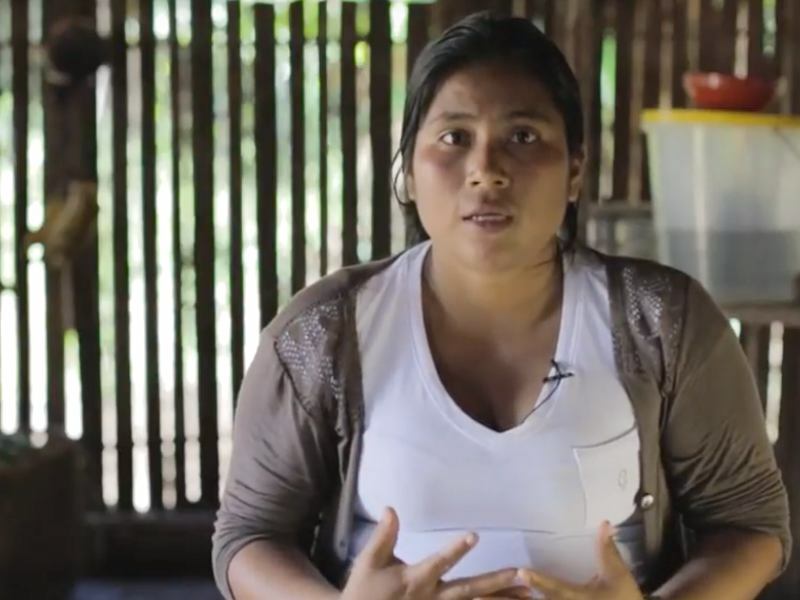 While there are still many challenges ahead, Patricia Gualinga spoke about Sarayaku's historic victory to defend their territory. 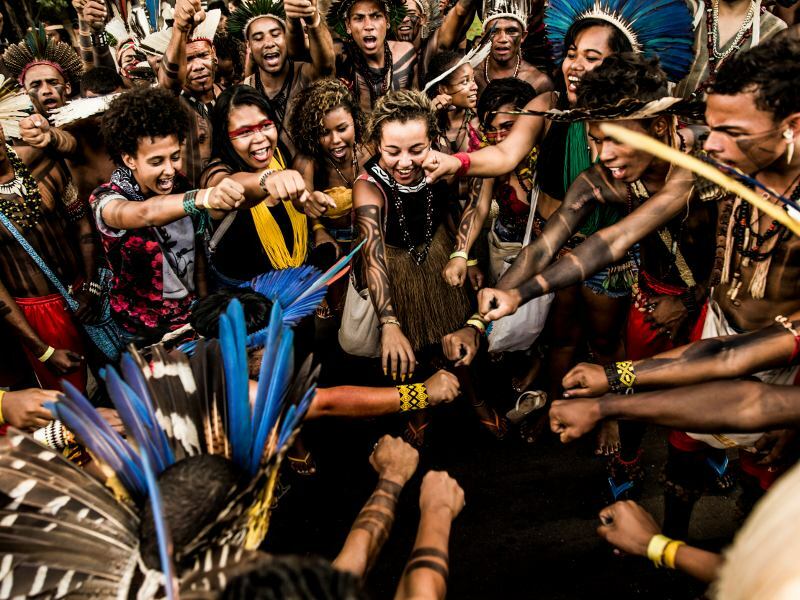 But 21-year old Nina Gualinga, who stars in a new video calling on us to keep the oil in the ground in the Amazon, addressed governments and companies with a simple plea from indigenous communities, "we are human beings just like everyone else and we have the same rights as anyone to choose our way of life and to have that choice respected."